This section aims to provide information on the principles of treating invasive plant species and the management options that may be relevant for you to consider. There are a variety of controls available for treating and managing invasive species but, before considering these, you should always confirm the identification of the species and the extent of infestation on the site. Prevention: Preventing invasive species from arriving on site or preventing their spread will provide the greatest benefit and value for money. Rapid response: Regular monitoring combined with a rapid response to treat/ eradicate invasive species that are identified encroaching on the site helps to ensure that they do not become established. Eradication: Aiming to eradicate invasive species on site will prevent the problem escalating. Containment: In some cases it may not be realistic to completely eradicate invasive species from the site. This could be due to resourcing limitations (both financial and staffing), the level of infestation or the species involved. 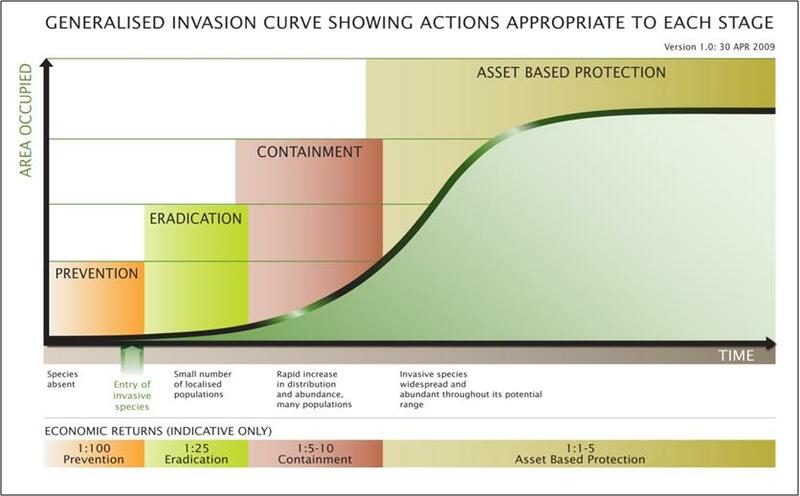 Asset based protection: This applies when an invasive species is abundant and widespread throughout a region or its potential distribution area. The control of widespread and well established invasive plants (such as Japanese knotweed and Himalayan balsam) generally fall into this approach. The aim here is to protect a particular site, region, property or other asset from the potential impact of the invasive species. What control options are suitable for my site? Timescales for required treatment/ eradication. To ensure that all of these factors are properly considered, you should develop an invasive species management plan for the site. It is important to keep in mind that each site will have its own best fitted solution which may even require different approaches to be taken for different parts of a site. Physical methods: These can range from mechanical removal (such as deep excavation and deep burial) to hand removal to the installation of growth barriers to suppress/ stop invasive plants encroaching on to a site. Chemical methods: These include the use of herbicides to control and/or eradicate the growth of invasive plant species. Biological methods: Biological control includes the use of livestock to manage the growth of invasive species. There are other methods of biological control but these are currently less accessible and therefore they are not covered in this guidance.